Discover how Yuloff Creative is inspiring business owners just like you! I’ve had an amazing weekend taking this Yuloff Creative Marketing Solutions class; I’m sure you can see the excitement in my face. It helped turn my business around, and I know it’ll help turn yours around, too! ‘Cause Hank and Sharyn are brilliant and have so many tips. They’re helping to help promote you and your business to get more clients and more revenue. 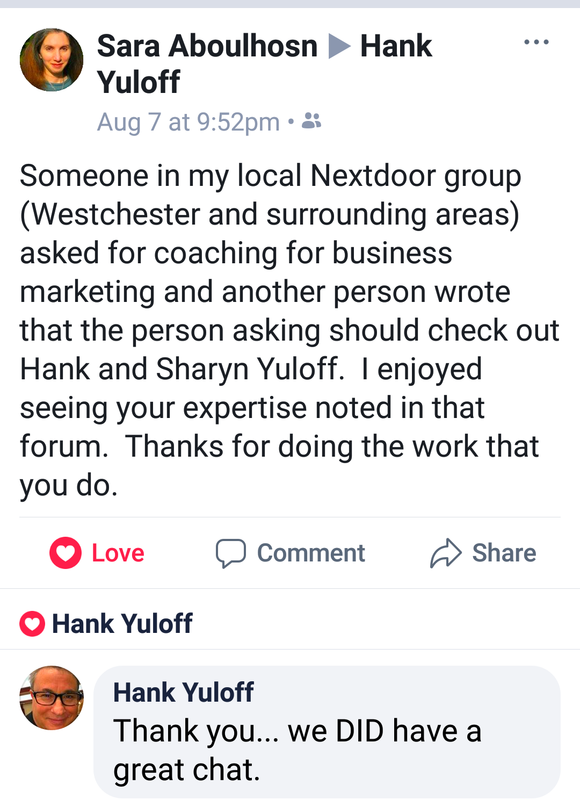 So I really recommend Hank and Sharyn – Yuloff Creative. 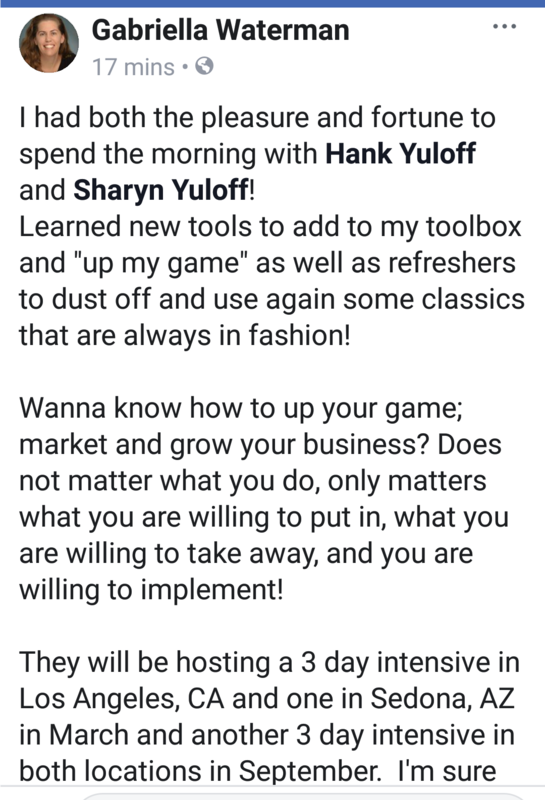 I’ve just spent the last two days at a marketing seminar with Hank and Sharyn Yuloff who own Yuloff Creative. I have to say it was the best program I’ve ever been to. I’ve spent a lot of money on other programs, and this was by far the best. I’m going to be recommending everybody I talk to about this. Don’t miss the next one! Stephanie & Val Westover recently visited Sedona Marketing Retreats. Here's what they had to say about working with Hank & Sharyn Yuloff on the new marketing plan for their family & wedding photography business. Engineer Thomas Nye had his doubts about the small business marketing plan bootcamp, but finished with a new lease on his business life. 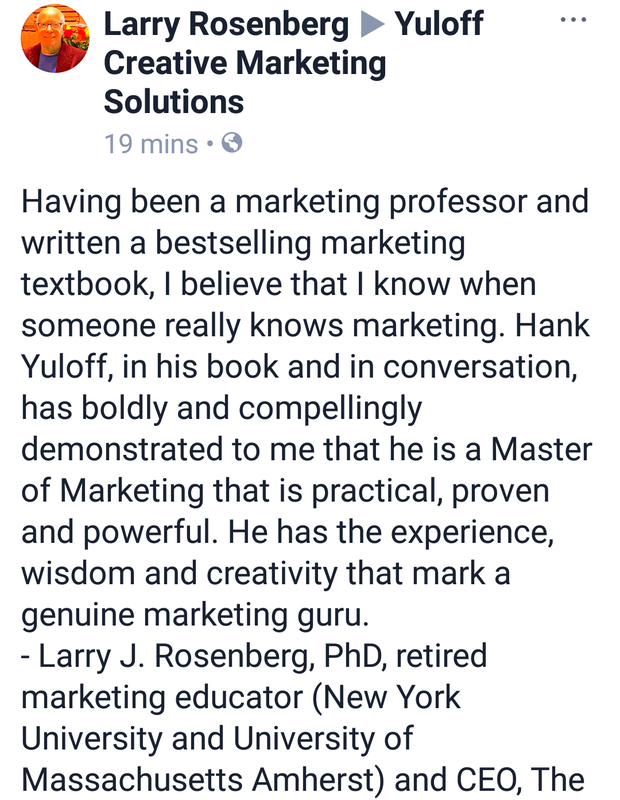 His business is focused on success because of Yuloff Creative. After a year of working with a different business coach, Penny S Tee attended the Small Business Marketing Plan bootcamp and after years of being in business, finally has a marketing plan! Private coaching client Joia Jitahadi had been in business for 20 years, and finally is able to describe her business to her most profitable preferred potential clients. Princess Ray ( http://www.TheGiftPrincess.com ), shares why she loves working with Yuloff Creative Marketing Solutions as her Chief Marketing Officers. Carrick Sears recommends the Small Business Marketing Plan bootcamp. Yvonne Boutell of West Side Deli put her marketing plan in order at The Small Business Marketing Plan bootcamp. 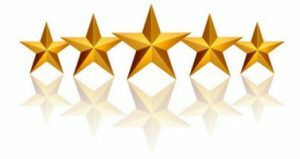 Nutritionist Gayle Baigo describes her incredible experience at The Small Business Marketing Plan bootcamp. Eric Tanner from Southwest Protective Services shared the immediate results his company had after working with Yuloff Creative Marketing Solution's product, The Small Business Marketing Plan. David Ward of Wellmax Computers LOVES The Small Business Marketing Plan bootcamp. CJ and Debbie Lopez of http://www.VetsMoveYou.com share their experience of working with Hank and Sharyn Yuloff. For more information on moving your company or home in Southern California, call CJ at 818-337-9495. Larry Phillips of http://www.http://flagstafftreeservic… Supertree Services got his marketing focused at The Small Business Marketing Plan bootcamp. Noam Meppen of http://www.CruiseScottsdale.com began working with Hank and Sharyn Yuloff of http://www.YuloffCreative.com and in a year, his business doubled, increasing 115% in a year. Nancy Hashem used The Small Business Marketing Plan to create a marketing plan for her new business, Red Rocks Home Care Services. Author Suzanne Taylor-Torres learned more than expected at The Small Business Marketing Plan bootcamp. Suzanne, from SerenityQuestAZ.com, says the bootcamp is no fluff! Jessica Sullivan of Healing Salt Spa discusses her experience with Yuloff Creative. Heather Parris of Self Propelled Tours says that the Small Business Marketing Plan bootcamp is worth every penny. Bonnee Lalooz of Sylvan Learning Centers loves the Small Business Marketing Plan.